Once you’ve made the two big decisions of choosing when and where to have your wedding, and settled on a guest list, it’s time to think about organising some accommodation for your guests. 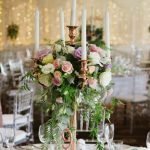 If you have a lot of guests who are going to have to travel and require accommodation or you’ve decided to have a location wedding, and everyone is going to require accommodation, it’s worth doing some research so you can provide your guests with some options. When researching accommodation options for your guests it is important to remember that majority of them will be unfamiliar with the area, so they will want accommodation that is closely located to your wedding and reception locations. The less distance your guests have to travel to get to your wedding location from their accommodation, the less likely they are to get lost and be late. If they don’t have far to travel home from the wedding, it means your guests will be more willing to kick on and have a good time at your reception. If possible try and find accommodation that has easy access to some shops and dining access for guests who have flown in and don’t have a car with them. If you have a lot of family members who are going to require accommodation, it is worth sourcing an option for them to all stay together. Families, especially those who don’t get to see each other very often, love spending time together when they can, placing them all in the same place will make this easier for them, as well as allowing them to share transport (if necessary) to your wedding. The Bay of Palms resort in Elanora has excellent proximity to a number of popular wedding venues on the Gold Coast and Currumbin. This beautiful resort has multiple different room types to suit any group. They have excellent facilities and their location is fantastic. They are located just a four minute drive from Currumbin RSL, home to the incredibly popular Waterside Weddings, and Alleys Restaurant. There is access to public transport, a bus runs regularly between the two, and even better, Currumbin RSL has a courtesy bus which can pick up and drop guests off. There is also lots of taxi and Uber access in the area. Many types of accommodation can offer your guests a discounted rate if you reserve a block of accommodation for them. Normally you can reserve these rooms for a certain period of time. When organising this with the venue ensure you organise an ‘open block’ which means that if all the reserved rooms aren’t booked the venue will release them and sell them at the normal price once the cut-off date is reached. Make sure you are clear with your guests when this cut-off date is, and ensure they know it is their responsibility to book their own accommodation. If organising accommodation blocks isn’t something you feel you have time to do, why not ask your fiancé to organise it? Or ask someone who has said they are willing to help out. When reserving your block of rooms why not ask the accommodation if they have any specials offers they can arrange for your guests. You’ll never know what you can get if you don’t ask. The Bay of Palms Resort Elanora is a beautiful resort for anyone looking for accommodation for Gold Coast or Currumbin weddings.